CITY COLLEGE OF NEW YORK–With elections for student government approaching next month, CCNY president Vincent Boudreau has implemented several changes in protocol to avoid the staggering dismissal of regulations that occurred during last year’s elections. 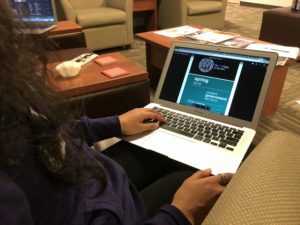 The Student Elections Review Committee (SERC), the body responsible for overseeing the student government campaigns, has slated this year’s voting period to take place between April 24 and April 26. Students interested in running for student government or other student-wide elections must submit their applications by Friday March 30.